This structure was built for/by James Freeland in 1980 or 1981. 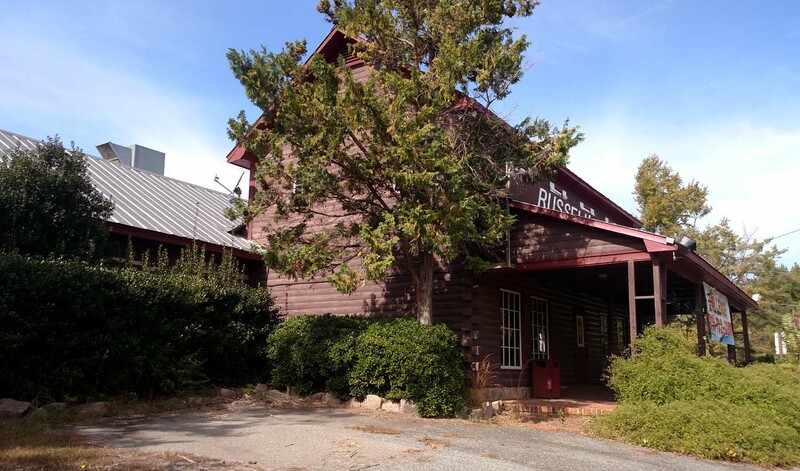 Freeland intended to turn the relocated Poplar Hill house in downtown Hillsborough into a steak house/restaurant, but a group of Hillsborough residents opposed it and he ended up opening the "Occoneechee Steak House" at this location instead. 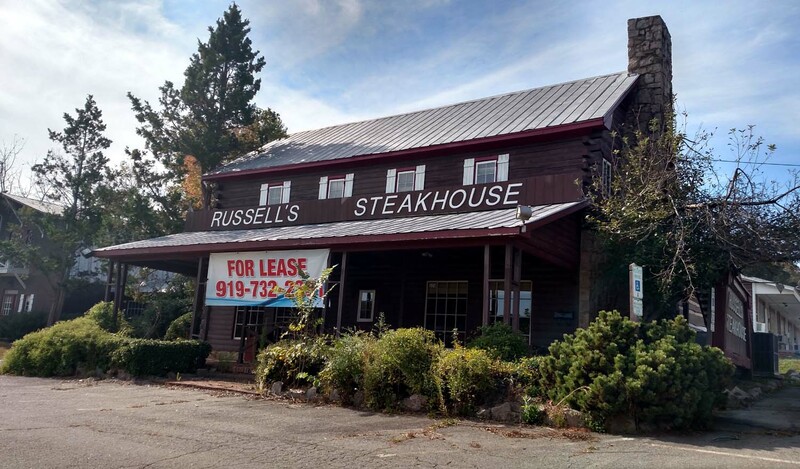 The Occoneechee Steak House (which later became Russell's Steak House and is now closed and the building unoccupied) was built partially from structures that were torn down or removed from Occoneechee Farm on Business Highway 70. Some of these salvaged architectural features can be seen from the exterior of the building. 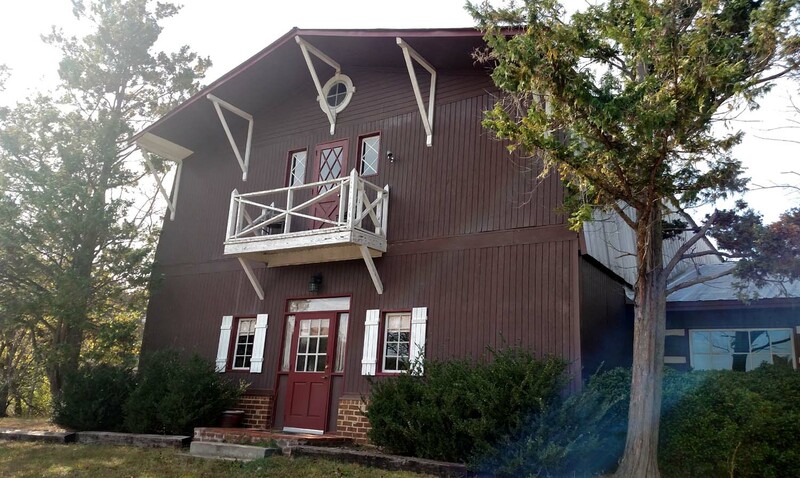 Located across South Churton Street from Daniel Boone Village (OR3040), along Old Dogwood Street, is a steakhouse and motel built and owned by the Freeland family who developed Daniel Boone Village and Boone Square (OR3041). 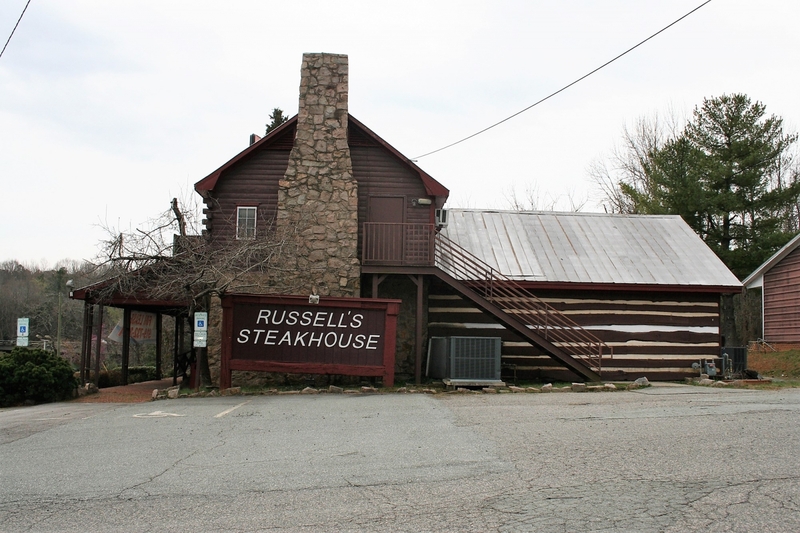 The Occoneechee Steakhouse (most recently Russell’s Steakhouse) stands on a slight hill overlooking South Churton Street and Daniel Boone Village. It is a two-story, side-gabled building with faux log veneer constructed of rounded weatherboards, a 5V roof, and a large stone chimney in the right (north) gable end with stone veneer on the first floor of that elevation. The building has sixteen-light fixed windows on the first floor and six-light casement windows on the second floor. The entrance, centered on the façade, is sheltered by a full-width, shed-roofed porch supported by grouped square posts. The building has a series of additions including a one-story, gabled addition at the right rear (northwest) with faux log veneer on the north elevation, consisting of stucco between flat boards to resemble logs with chinking, and rounded weatherboards on the west elevation. A one-story gabled wing extends from the south elevation of the rear ell, extending beyond the south elevation of the main building with the same flat-board and stucco faux log treatment. To its south is another gabled wing with rounded weatherboards. Both wings have 5V roofs and multi-light fixed windows. A two-story, front-gabled “barn” at the south end of the building has an exaggerated Mansard roof with 5V roofing. It has vertical plywood sheathing, oversized knee brackets in the gable, a raised brick foundation, and wood casement windows. 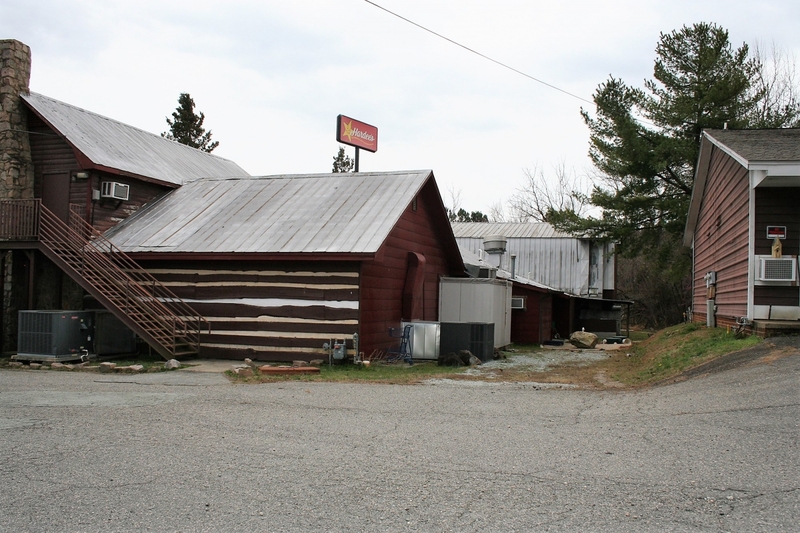 Located just west of the Occoneechee Steakhouse is a one-story, side-gabled motel with five units each on the north and south elevations. The building has horizontal metal sheathing on the gable ends and deep overhangs which shelter the entrances on the façade and rear elevation. Each unit features aluminum-framed fixed windows with solid panels below, blind transoms, and solid doors with transoms. Weatherboards are located at each end of the façade and between the individual units. 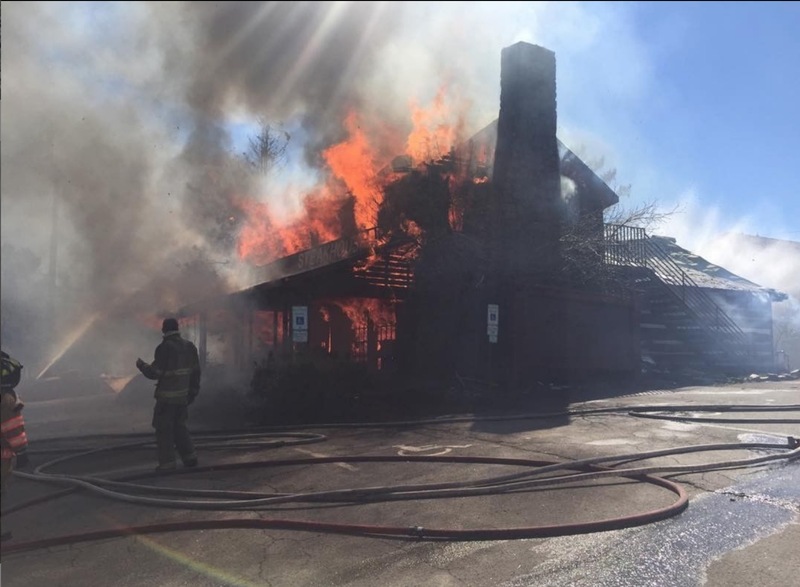 Unfortunately, the two story structure was destroyed by Hillsborough's fire department in a so-called 'controlled burn' in 2019.